Brother Matt Van Horn’s (Arizona, 2006) entrepreneurial career has taken him from ride sharing to internet startups and now to home appliances but he’s never strayed far from the lessons he learned in the Upsilon Alpha chapter. “The real world experience I got in AEPi has been invaluable to me in my career,” he said. After graduation, Matt and a close friend were backpacking through Africa and began looking at transportation issues in Zimbabwe. With that in mind, the two created Zimride (well-known now as Lyft). Matt’s friend is still the CEO there and Matt continues to advise him and the company on a regular basis. After moving on from Zimride (Lyft), Matt’s entrepreneurial spirit took him Digg where he led partnerships and started the publisher Digg button. He then moved on to Path, a startup social network, where he ran business operations and started the Path platform. It was at Path that Matt met his co-founder in his latest venture, one of the original engineers on the iPhone and the inventor of many of Apple’s camera technology patents. Together, they set off to create a new company in an emerging technological application, smart appliances. 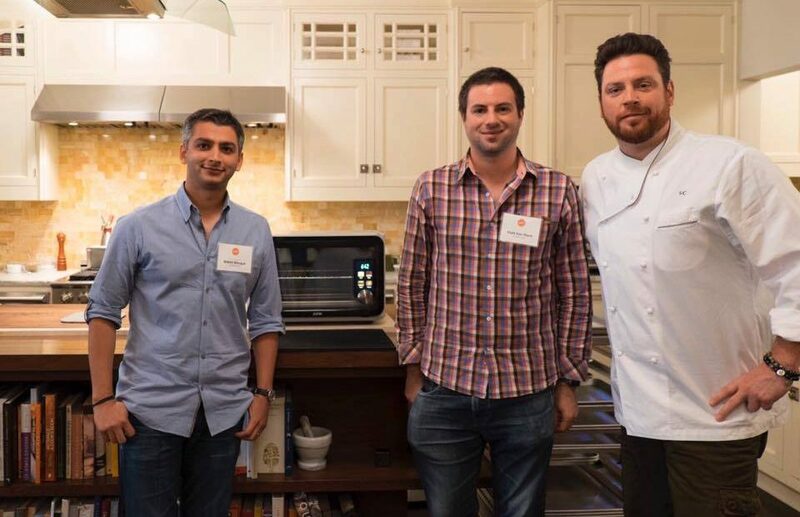 “We both loved cooking but didn’t love the tools so we decided to start from scratch to build the ideal appliance.” The result of their collaboration, the June Intelligent Oven, will begin shipping products next month. Today, Matt lives in the Bay Area with his wife and young daughter and loves to cook for them in his June oven and try new recipes.